Head of the new management will be Captain Fu Chengqiu, CEO, while Aggelos Karakostas will take over as deputy CEO in charge of administration directorate heading the departments of: human resources, administration control and secretariat operation, legal department, port security/environment protection, public relations, shareholders support/corporate news, strategic planning and marketing, free zone and other customs status. Deng Xiaoli, Deputy CEO will take over as head of operations with six departments: cargo terminals, sea cruise and coastal shipping, quality control and supervision, labor operation, supply chain. JI Fengming, Deputy CEO will take over the financial departments, while LI Jianchun Deputy CEO will take over the technical department. 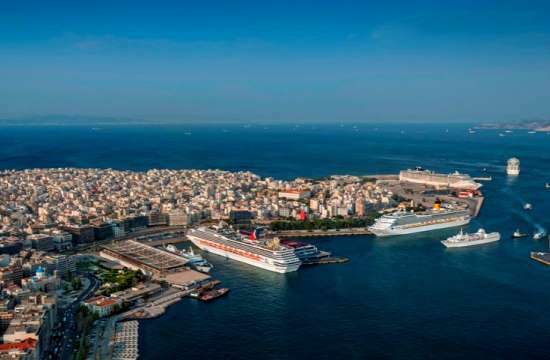 Piraeus Port Authority used to have one CEO, one managing director and 17 directorates with 54 departments. Port officials said the new organization chart will make Piraeus Port Authority more flexible and solid to meet the demands of the market. Piraeus Port has a workforce of 1,094.